Preheat oven to 400. Grease or line 12 wells in a muffin tin. 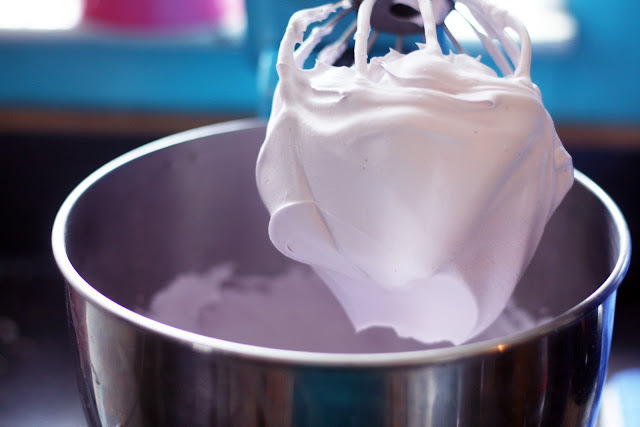 In a large bowl, whisk together flour, 3/4 cup sugar, baking powder, baking soda and salt. Set aside. In a large bowl, mix together butter, goat cheese, puree, egg and vanilla until blended. Add the dry ingredients. Mix the batter thoroughly (batter will be very thick) then fold in blueberries. Fill each well about 3/4 of the way and sprinkle with demerara sugar if using. Bake 15-20 minutes or until toothpick comes out clean or with just a few dry crumbs. Remove to rack and let cool at least 2 minutes before serving. 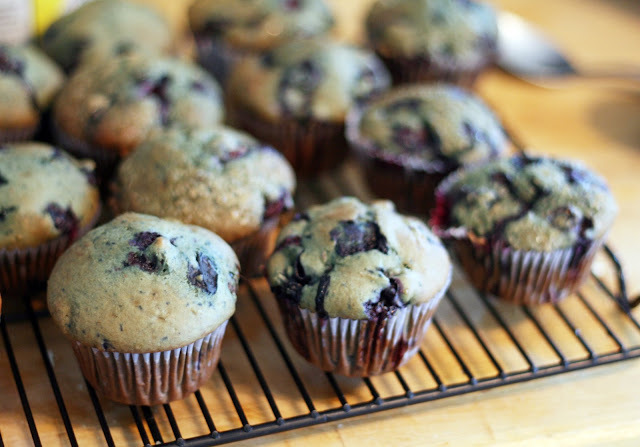 These are extra blueberry-y muffins because most of the liquid in the batter is pureed blueberries. Also adding moisture and a touch of tangy flavor is a mild goat cheese. It sounds like sort of an odd pairing but it really works. The muffins are super moist and they really taste like blueberries. The goat cheese isn't overpowering at all, I don't think that anyone who didn't know would guess that there was goat cheese in them. 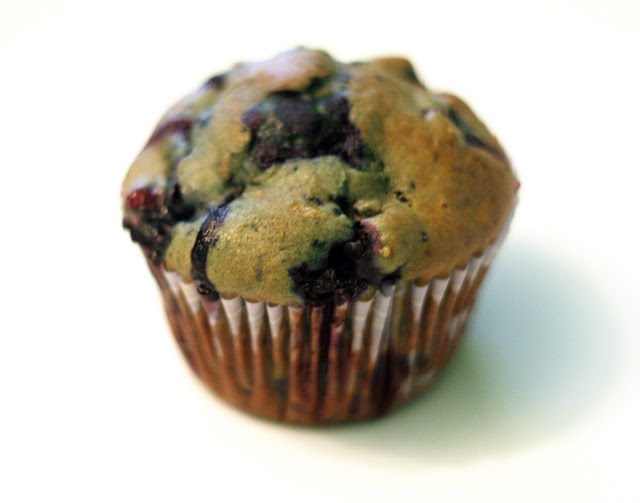 It is presence in the muffin is mostly as a savoy, creamy background flavor, similar to the sour cream in my other favorite blueberry muffin recipe. The pureed blueberries do add a slight greenish blue tint to the baked muffins so be forewarned. I do have to point out that my husband, a blueberry muffin connoisseur, is absolutely crazy about these muffins. This has lead to more than one conversation about how many of these muffins one can eat in one sitting without looking "piggish" and perhaps a sonnet or song or two has written in their honor. He says they are absolutely the best blueberry muffins he has ever had. High praise! Place the chicken in a nonreactive container. In a small bowl, whisk together the marinade directions. Pour over the chicken. Seal and refrigerate for 1-2 hours. Place the chiles and tea in the middle of a medium-sized rectangle of foil. Sprinkle with the water. Fold the sides up to form a packet. Poke holes in the packet with a fork. Place on the hot coals. 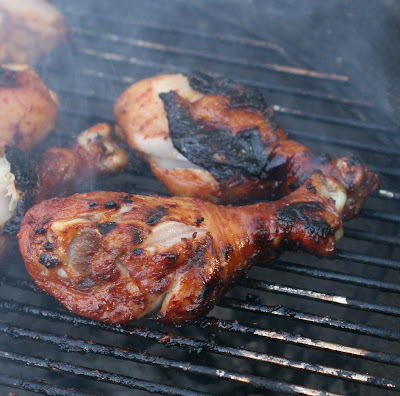 Arrange the chicken on a greased grill. Cook covered and vented until the chicken is thoroughly cooked through, turning halfway through the cooking time. This is some flavorful chicken. It isn't terribly spicy but the spices permeate the chicken pieces making every bite as tasty as the last. 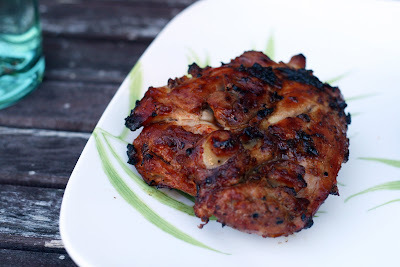 The tea-chile packet adds a subtle smoky-spice flavor to the meat that really sets it apart from other grilled chickens. The best part? 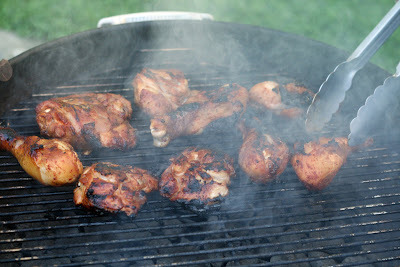 Despite the intense flavor, it really isn't any more difficult to make than any other method of grilling chicken. Allow the mint to seep in the milk for at least 15 minutes. Preheat oven to 350. Line or grease and flour 6 wells in a cupcake pan. In a large bowl, cream the butter and sugar. Add the egg and mix thoroughly. Add flour, baking powder and salt to the butter mixture. Mash the blueberries in a small bowl with a potato masher until pretty well squished. Strain the milk into to the bowl and mix it with the blueberries. Add the mixture the rest of the batter and mix until well combined and fluffy looking. Fill each well 2/3 of the way full. Bake 12-15 minutes or until a toothpick inserted the center of a cupcake comes out clean or with just one or two dry crumbs. Cool briefly in the pan, then remove cupcakes to wire racks to cool completely before icing with blueberry vanilla bean frosting. I don't know if I have had blueberries and mint together before but they grow side by side in my yard so I thought I'd give it a shot. It turns out it is a pretty tasty combination. 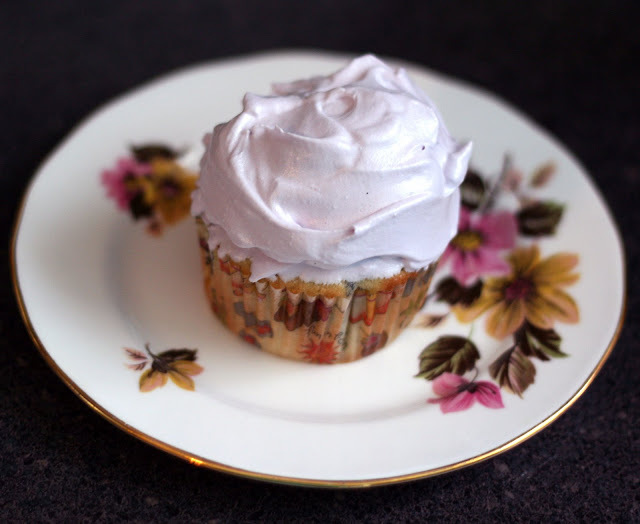 The mint isn't overpowering, it just adds a cooling note to the sweet fruity cupcakes. They are light and fresh tasting, perfect for a summer cupcake. 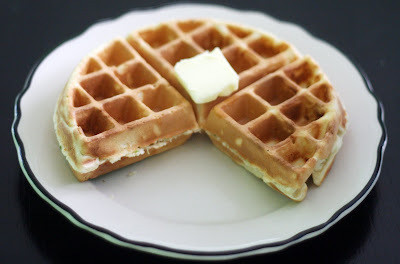 Beat the egg whites and salt to soft peaks using an electric mixer. Meanwhile, in a medium saucepan, bring sugar, vanilla bean blueberries and water to a boil, stirring occasionally, mashing the berries a bit with the back of your spoon. 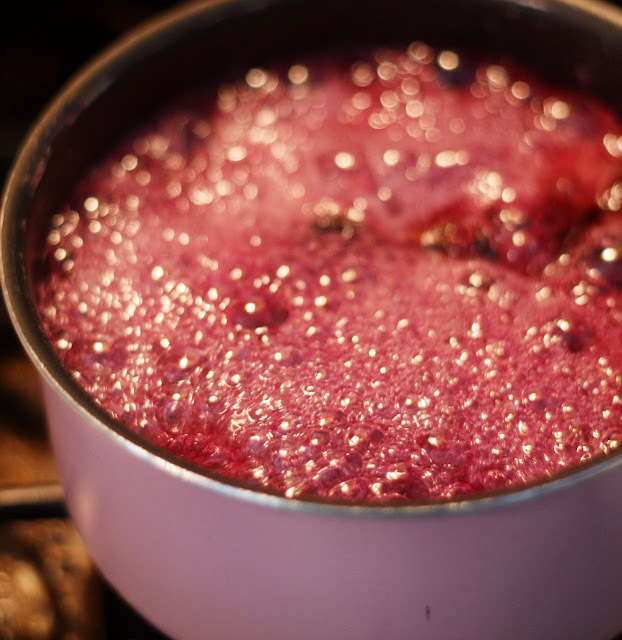 Continue to boil until it reaches soft ball stage (when a drop of the syrup forms a soft ball when dropped in cool water) while continuing to stir occasionally. Whisk the mixture through a fine sieve into a heat safe measuring cup and discard the blueberries. Keep the mixer running (to be safe use a stand mixer or a friend to complete this next step) and pour a continuous stream of molten syrup into the egg whites. Continue to beat for about 5 minutes or until the frosting is fluffy, glossy and cool. Frost cooled cupcakes or cake. 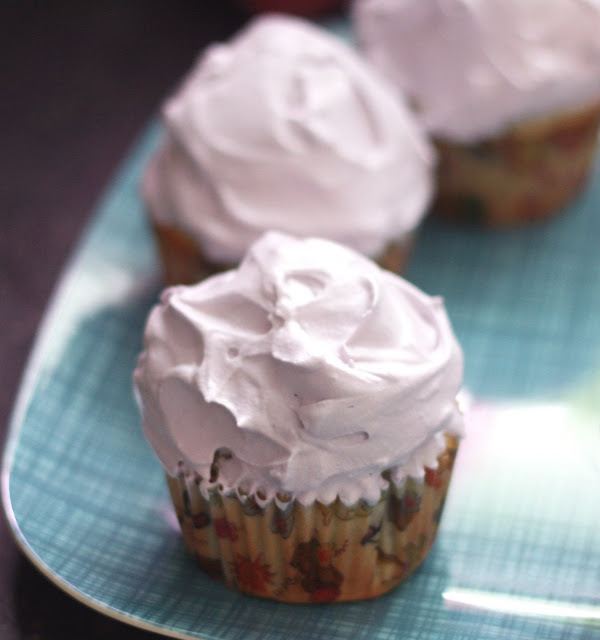 The best word to describe this frosting is ethereal. 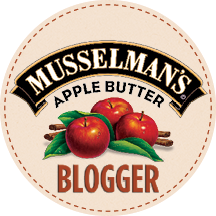 It has an incredibly light and smooth texture and is infused with blueberries and vanilla. So good and perfect for summer. In a small bowl, whisk together the dressing ingredients. 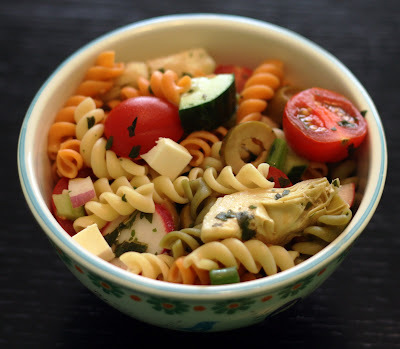 Place the salad ingredients in a large bowl and toss to evenly distribute. Drizzle the dressing over the salad and toss again. Refrigerate at least 1 hour before serving. I haven't made too much in the way of pasta salads before but I have been trying to will actual summer weather into existence and thought that a cold salad might do the trick. Not quite sure if it worked but it has been rather sunny the last few days if very humid. The salad itself was very tasty; comprised mostly of items I purchased at our local Italian market. 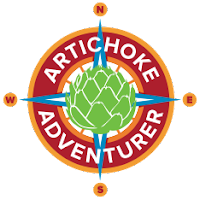 The olives and artichokes are quite robustly flavored and the mozzarella adds a creamy note. The dressing couldn't be easier and using the marinade from the artichokes really ties the flavors together. Place the oats, honey, oil, vanilla, almonds and vanilla in a 4 quart slow cooker. Stir. Leave uncovered and turn on high. 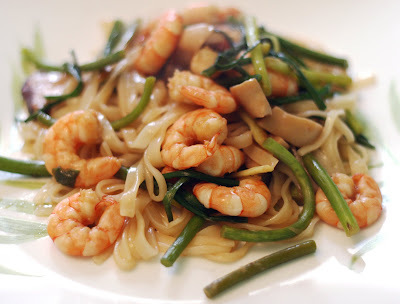 Cook for 1 hour, stirring every 20 to 30minutes. Reduce to low and add the coconut, pepitas and cherries. Continued to cook on low uncovered for about 4 hours, stirring every 20 or so minutes. The granola is done when it looks completely dry. Cool on baking sheets then store in an air tight container. Preheat oven to 250. In a large bowl, combine all ingredients but the dried cherries. Divide among 3 baking sheets and spread to a thin layer. Cook for 1 hour and 15 minutes, stirring every 15 minutes. Pour it back into the bowl, and stir in the cherries. Allow to cool on baking sheets then store in an air tight container. I hadn't made granola before and frankly wasn't too sure I liked it but I thought I'd give it a shot. 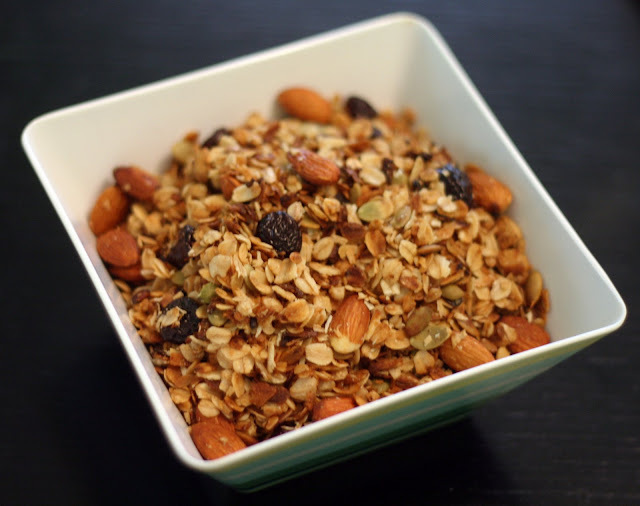 While the slow cooker method is longer, I liked it much better than baking the granola. It cooked really evenly without over browning or burning. In the oven granola has a tendency to brown unevenly and if you have an oven like mine, you really can't bake more than one tray at a time which takes it into the slow cooker time range anyway. What I did was start the granola going in the slow cooker, set my time to 20 minutes and only came back in the kitchen to stir. As for the granola itself? It was the best I've ever had and my husband agrees. It isn't the super clumpy type of granola (to make that you'd love to more than double the amount of honey and oil I used) but it is perfect to top yogurt, eat as cereal or have on its own. It is lightly sweetened and the coconut and cherries add lots of flavor. In a small bowl, mix together the dry rub. 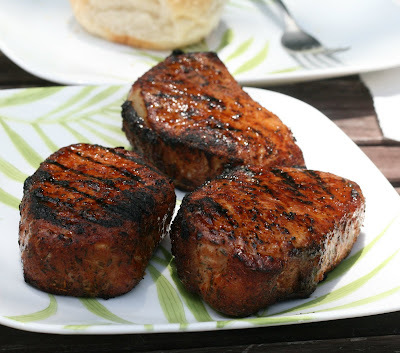 Cover pork chops with dry rub on both sides and massage the rub into the chops. Refrigerate overnight. Cook the chops over a slow charcoal fire. About halfway through the cooking time, flip the chops and then place mesquite chips in a foil packet, poke holes in the foil, and place on the coals. Cover and cook until the pork is thoroughly cooked. I am excited to get back to grilling! 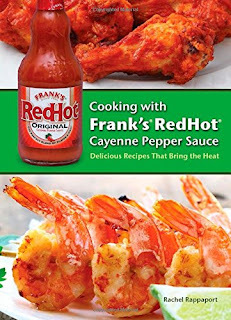 This year I am aiming for biweekly recipes so check back every other Friday for a new recipe that can be made on the grill. These chops made some seriously big and tasty sandwiches. Normally pork chop sandwiches are made with bone-in chops but I never really warmed to the idea of cracking a tooth while eating a sandwich so for me, it is boneless all the way. This recipe couldn't be simpler but the flavor of Matt's rub really seeps into the pork and the mesquite chips add a smoky flavor. We used smallish but very thick chops so they took a while to cook. Make sure you cook your meat thoroughly no matter how thick the chop. Heat the oil in a large pot with a lid. Saute the onions, fennel and chorizo until the fennel is almost tender. Add the beer and cook for another minute or so. Give it a taste and if it is too bitter, add 1 teaspoon dark brown sugar and stir. Add the mussels, cover and shake until they are all opened. Serve immediately. 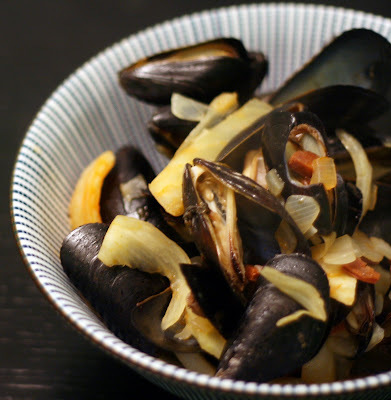 Mussels are so simple to make it is a wonder we don't eat them everyday. We made this at about 11:30 at night with our eyes half open and it was still delicious. The sweet fennel and the spicy, salty chorizo were a perfect combination to complement the juicy mussels. Use an empty mussel shell to liberate the mussels and eat the chorizo and fennel. Yum. Note: Please don't steam any mussels that are open and if any do not open after steaming, don't eat them either. Boil the potatoes. A few minutes before they are fork tender, toss in the asparagus to steam. Drain. Whisk together the dressing ingredients. 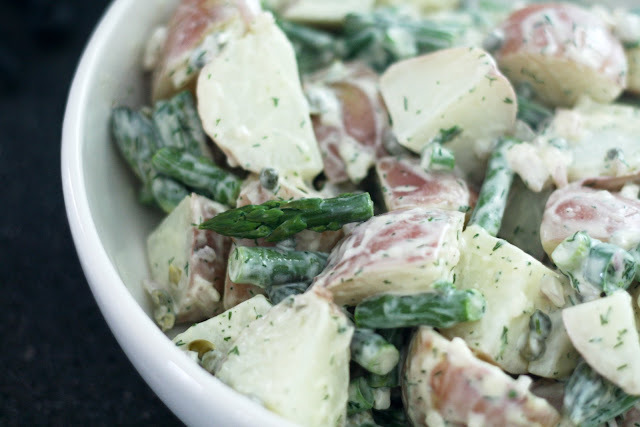 Toss the potatoes with dressing. Refrigerate at least one hour before serving. I know it seems like it is all salads all the time but really, it is all I've been feeling like eating lately. I think I must be making up for all those years when I only occasionally had cold salads. I am still not sold on the super mayonnaise-y ones and I find hard boiled eggs in potato salad abhorrent (sneaky whites masquerading as potatoes) so I've been sticking to low mayo and a equal or higher mustard/vinegar/citrus ratios without an egg to be found. This salad is definitely on the savory side and the capers add a burst of saltiness that I love.